When installing or refurbishing your new swimming pool, you want the finished product enhances the look of your property and be a beautiful, safe space for you and your loved ones to enjoy. One of the more important decisions you’ll make for the finished product of your pool, is choosing the right pool pavers to install and finding the right team to make them look perfect. 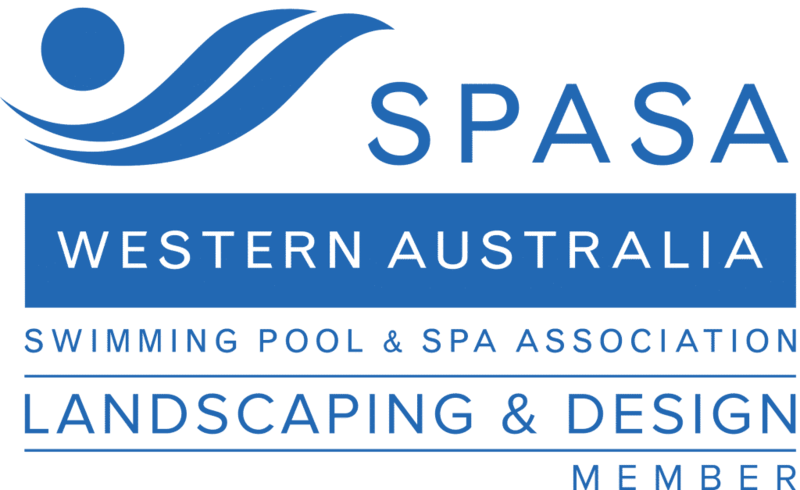 WA Luxury Landscaping are experts in creating beautiful, functional pool areas. Our team is dedicated to working with the highest quality pool pavers, to design pool surrounds that will be the highlight of your outdoor space. Making decisions for your pool area is meant to be an exciting experience, not a pain! 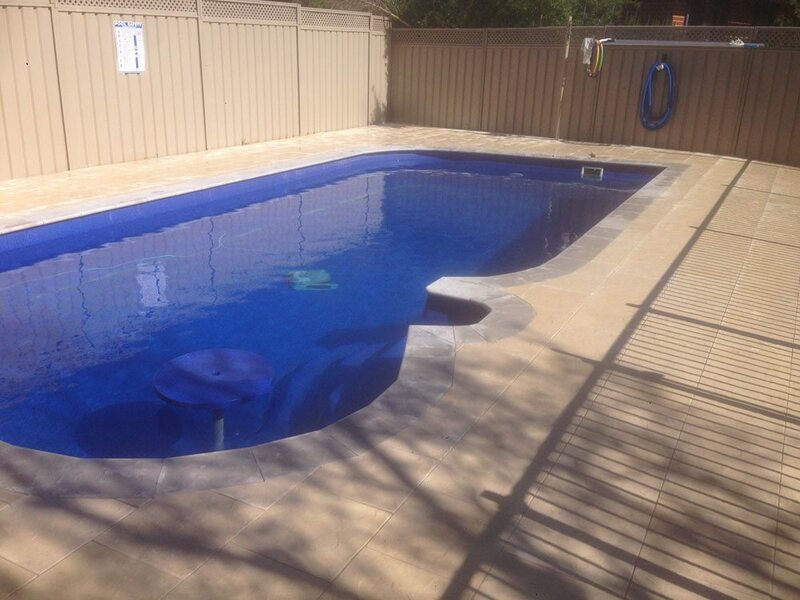 WA Luxury Landscaping is here to help make building your pool an easy experience with our Paving Services. 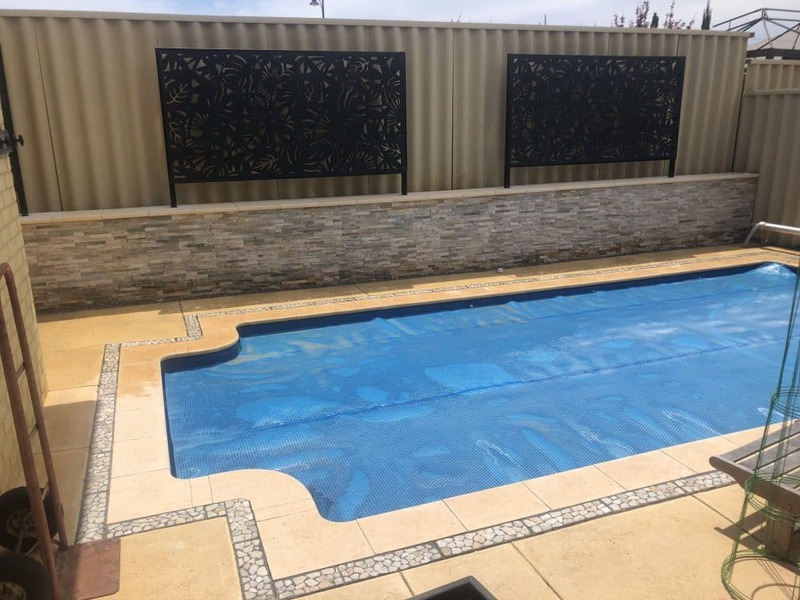 Once you have answered all these questions, you’re ready to decide on the type of pool pavers that will complete the look of your new fibreglass pool. Are the pavers slip resistant? If your pool is going to be a high traffic area with lots of hustle and bustle, it will be ideal for your pool to have slip resistant pavers. 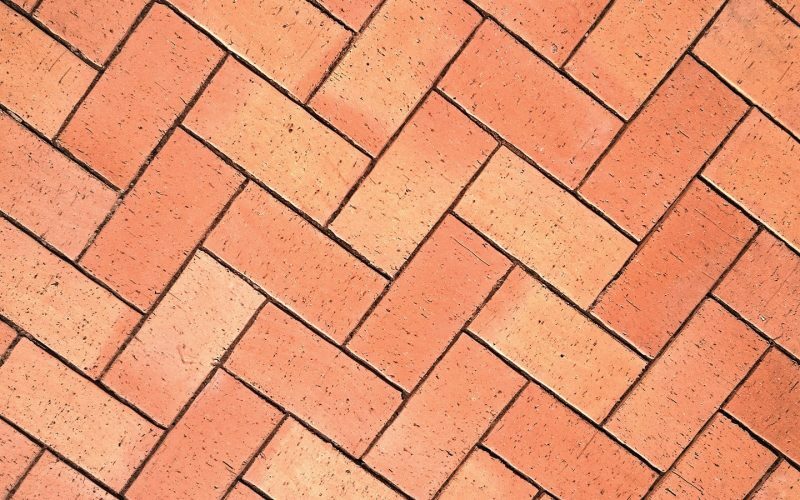 Brick is a popular choice for those looking for slip resistant pavers, but it is quite easy to add a sealant to concrete and natural stone pavers to make them slip resistant and safe. 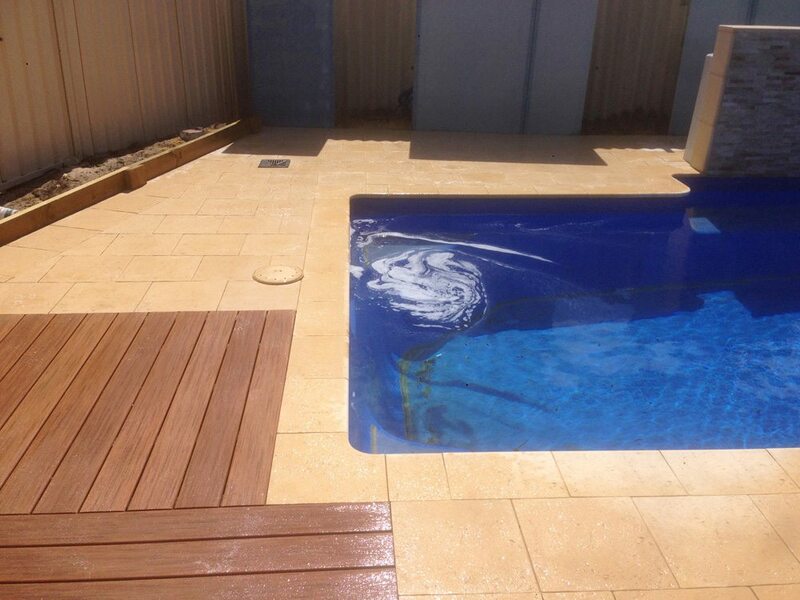 Will the colour and style of your pavers create the desired look for your pool area? Close your eyes and picture your dream pool… What shape is it? What are the colours you see around it? 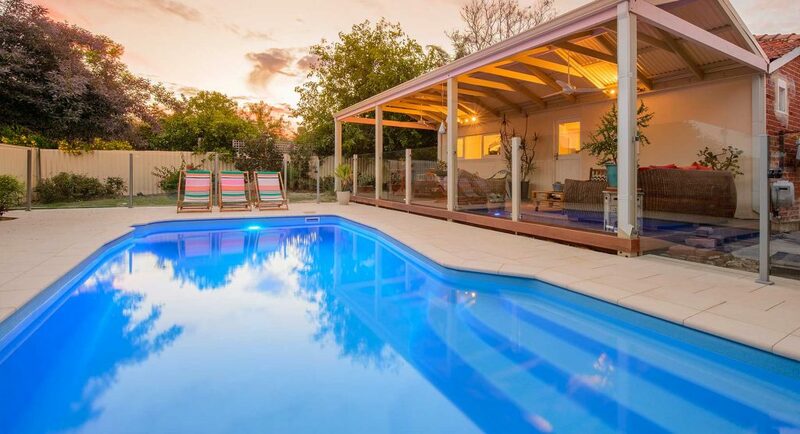 Are the pool coping pavers the same colour as the pool surrounds? Make sure that you discuss these visions with who ever you decide to have install your pool pavers. 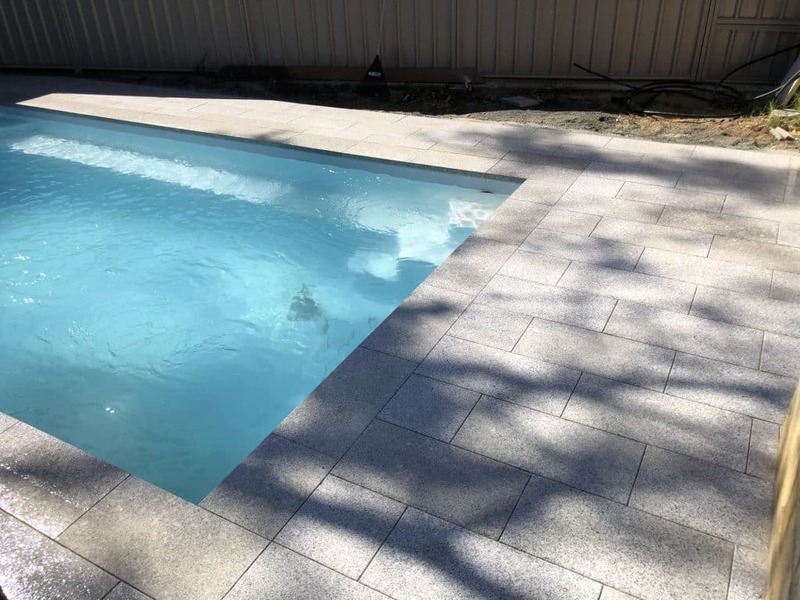 A good paving installer, like WA Luxury Landscaping, will be able to provide you with a variety of pool paver colours, shapes and designs and turn them into a reality. Will I be able to maintain and deal with any repairs that come up? If you’re house is a busy one, you may not have time to take care of your outdoor area as often as you would like. Make sure that when selecting your pavers, you choose something low maintenance, hard wearing and darker colours (more stain resistance). Brick, and darker natural stones are a great option for those who need something that will last and not require much work and are much more durable options. One of the more important things that will come up when building your pool is sticking to your budget. 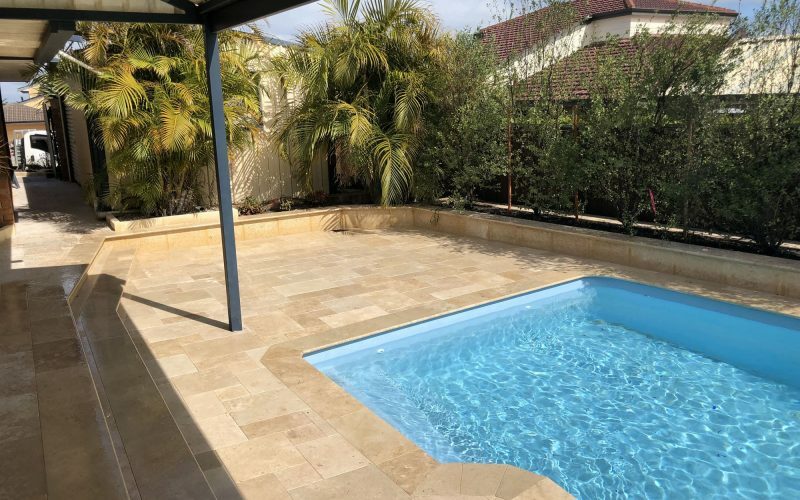 There are plenty of paving options available for your swimming pool, and WA Luxury Landscaping can help you find the perfect style, colour and design that won’t leave you over-budget. Is your pool going to be salt water or chlorinated? When choosing pavers, you have to be careful of what style you go with depending on the type of water your fibreglass pool will have. 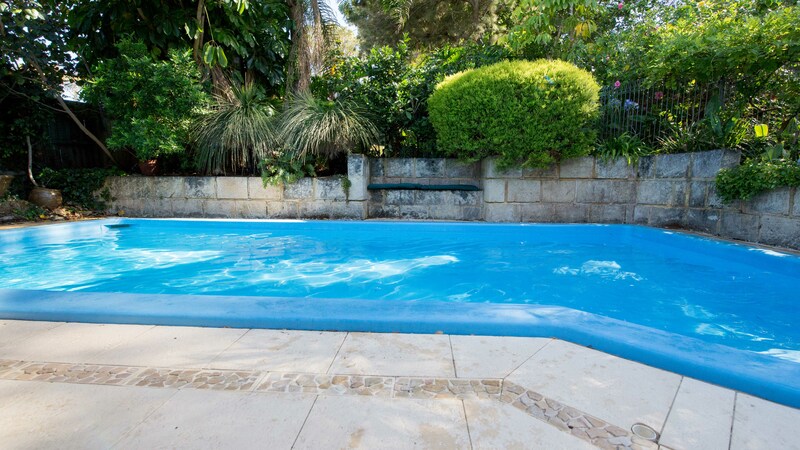 For example, having a chlorinated pool will mean that you can not install certain types of stone pavers because it can cause them to become slippery and wear faster. What sealant will be right for my pool pavers? 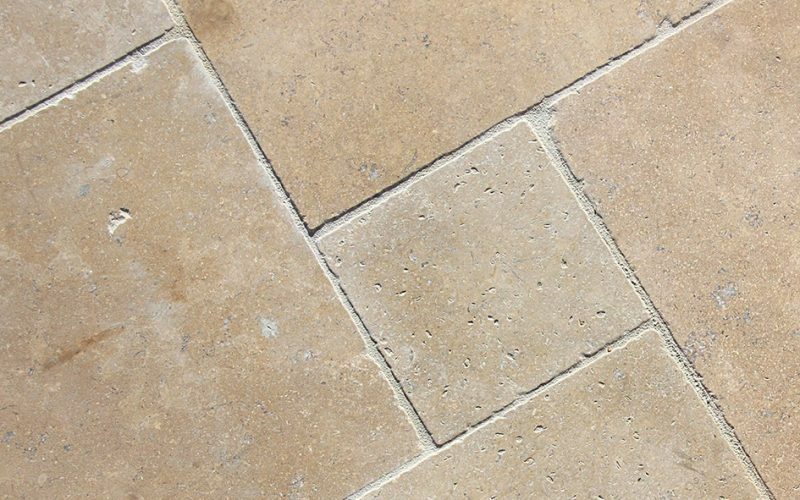 Most styles of pavers will need to be sealed for a variety of reasons. Sealing your concrete and brick pavers can help protect them from the damaging effect of the warm Perth sun and from pool water. While adding a slip resistant sealant to your natural stone pavers, adds a sense of comfort and safety to your pool area. Concrete Pool Paving: Concrete is one of the most popular and affordable types of pavers for your swimming pool surrounds. 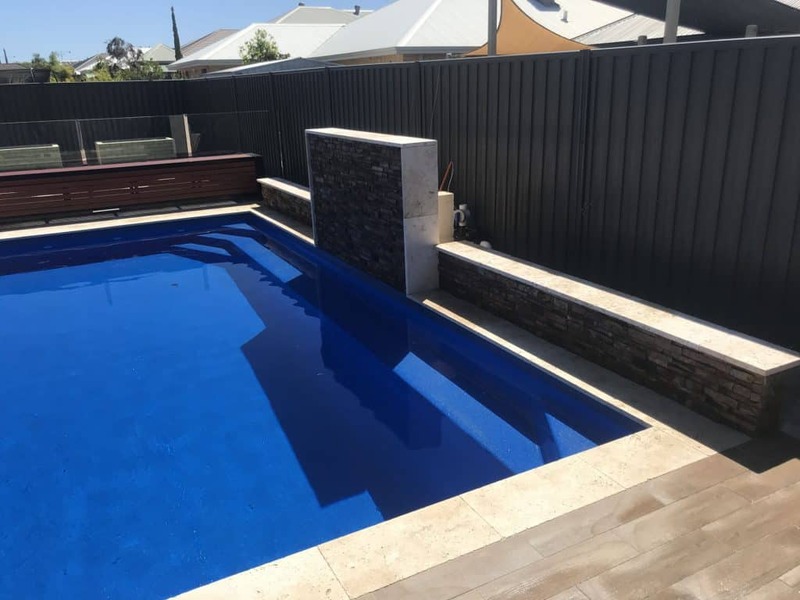 Its popularity is due to the availability of a wide variety of colours and styles, giving you a chance to create a truly unique look for your pool area. Brick pavers are another affordable option for your pool. 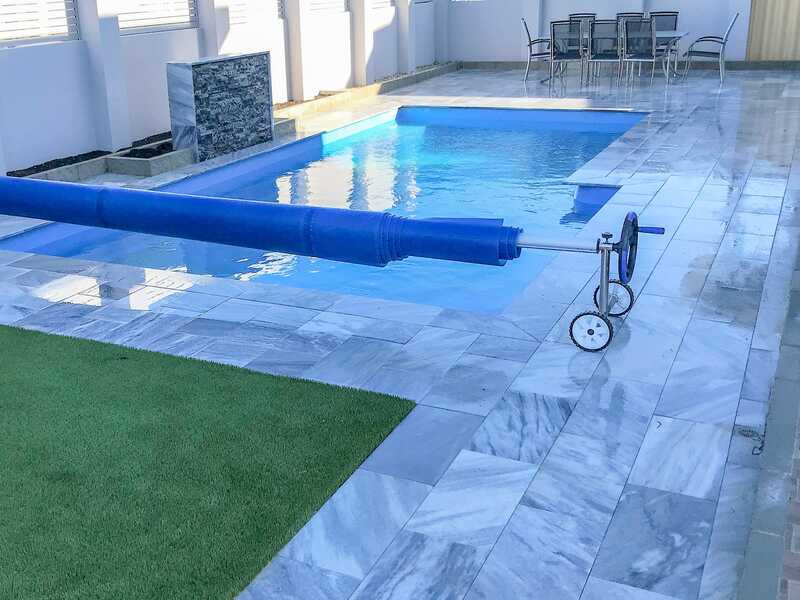 They’re a great option if you are looking to tie your pool in with the rest of your house and are a popular choice for those looking for a product that has built in slip resistance. If you’re looking for a luxury look, then stone pool pavers are the way to go. Though they are a more expensive option, their ability to make your pool a truly breathtaking feature can be worth the cost. 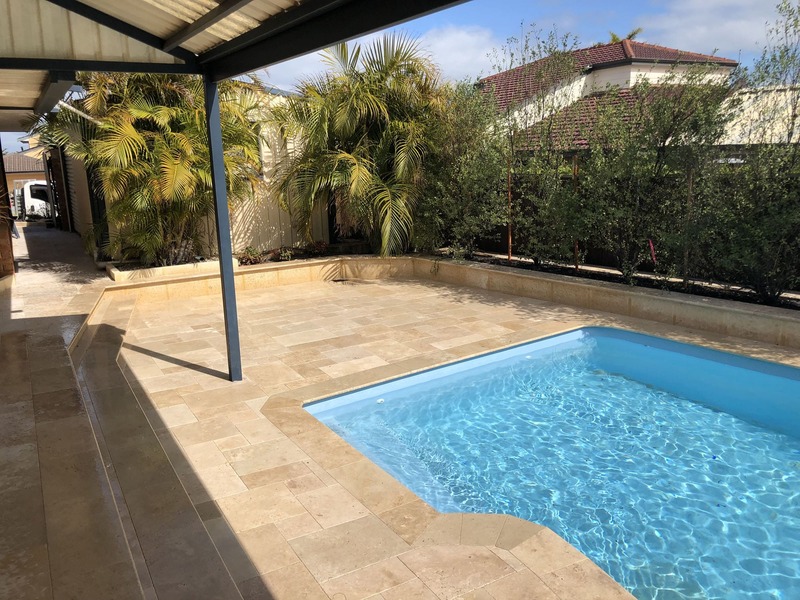 From the lighter sandstone pool pavers and limestone pavers, to darker colours such as granite and bluestone, you have the options to build a pool area that is one of a kind. One of the final decisions you’ll need to make, will be choosing the pool coping pavers to go around the pool edge. Bullnose pavers come in a variety of styles and finishes that will help you achieve the finished look of your pool. For more information about our pool coping, visit our page about it here. Because at the end of the day, building a pool for your home should feel exciting and not a stress. We’re here to give you the information you need and provide you with our quality service so that you have a pool area that will put a smile on you and your families face! So, if you’re ready to discuss creating your dream pool surrounds, then get in touch with us today for a no obligations chat about you pool paver needs today!